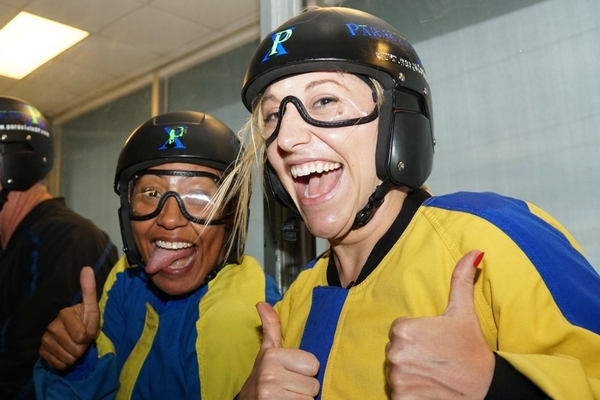 Is Indoor Skydiving Worth It? 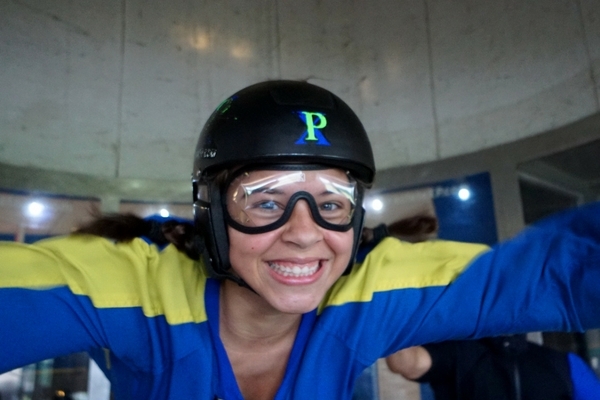 Is indoor skydiving worth it? Holy dachshund in a hot-dog bun, is it ever. 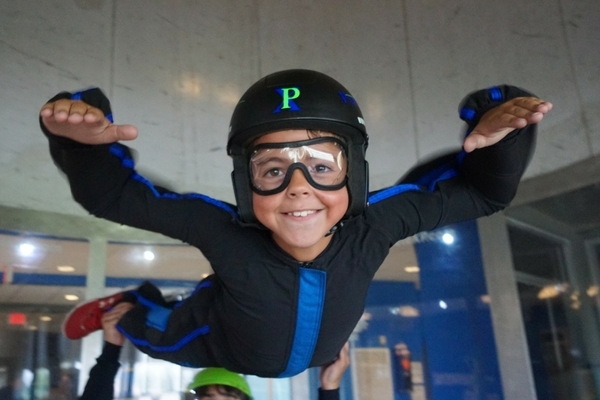 On the surface, indoor skydiving might seem like a big investment for a relatively small amount of flight time, but the investment-to-reward ratio is strong with this one. We know that statement is a little weak without the foundational facts, so y’know what? We took the time to lay ‘em all down in writing. 1. It’s Longer Than It Sounds. Two minutes’ flight time sounds like nothin’, right? You can burn ten times two minutes scrolling through a social feed and hardly notice it as it flies you by. Two minutes in traffic? That’s more than half a pop song on the radio. Two minutes left on your Google Maps route? You’re almost there. But, of course, there’s another side to two minutes. When that two minutes is earth-shakingly novel and challenging and saturated with sensation, two minutes is a lot more than two minutes. Try spending two minutes making out with the person you’re crazy about whose Friend Zone you were sure you’d never escape. Try spending two minutes cutting first tracks down the mountain on a powder day. Try spending two minutes singing the National Anthem at a stadium game. Flying in the wind tunnel? Yeah, it’s like that. It’s not your ordinary two minutes. Not by a long shot. 2. The Costs Actually Make Sense. To tackle this perspective, let’s breakdown cost of doing a skydive in the sky vs. “indoor skydiving” (flying in the vertical wind tunnel) in terms of actual freefall time. Suffice it to say, this is a nice way to arrive at an aha moment. Flying in the wind tunnel is cheaper because the variables are significantly more controlled– there’s no parachute or airplane to factor in. It’s also a very different experience, naturellement, but there are loads of parallels between the two. When you try both, you’ll see for yourself–but flying in the wind tunnel is a primo “taster session” for the experience of bodyflight. 3. Total Newbies Get A Stupendous ROI. Also worth noting: It’s a family affair. If you’re looking for a memorable experience to share with family members of ages 3 to 100, tunnel flying is your huckleberry. What other activities can grandpa and the teenagers enjoy on totally equal footing? 4. Skydivers Get A Serious Level-up. First-time flyers get a lot out of the tunnel, certainly–but it’s skydivers seeking to improve skills that really see the benefits pile up. The tunnel limits the variables so you can push yourself to the next level of bodyflight in a space that’s risk-mitigated and highly precise. Whether you’re struggling to get to that next AFF level, nailing your head-down or going for national gold, the tunnel is the hack that gets you further. Plus, Paraclete XP boasts the world-class instructors that will give you that boost. 5. The Clock Is Just A Handy Reference Point. It Actually Means Little. Consider: the average cost of a wedding in the United States is north of $26,000, but it only takes, like, five minutes to get married. Are you having the wedding just to get married? No–you’re having the wedding to bring together the family, to make ridiculous memories, to celebrate love, to get epic photos of yourself looking drop-dead fantastic and to imbibe entirely too much champagne. It may seem like a stretch, but hold up: when you plunk down your credit card for an “indoor skydive,” you’re not just paying to lay your belly down on some wind. The experience is about expansion. It’s about making your relationship with human flight one based on intimate, personal experience. It’s about challenging possibility. It’s about blowing a raspberry at gravity. It’s about getting inspired to try something completely out-of-the box. And if that ain’t worth it, what is?